An ambulance worker has penned a poignant note speaking of her heartbreak at not being able to save four children who died in a devastating house fire. 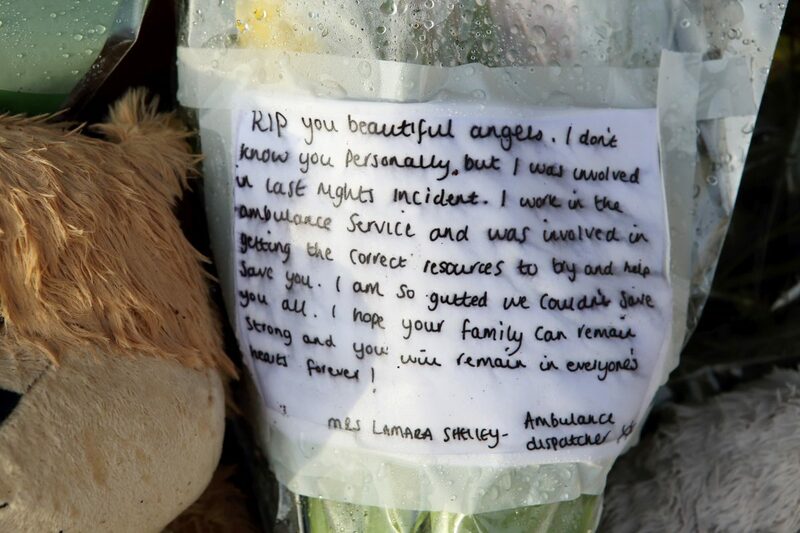 Lamara Shelley, a call dispatcher with West Midlands Ambulance Service, told of her regret at not being able to save the “beautiful angels” who perished in the blaze. 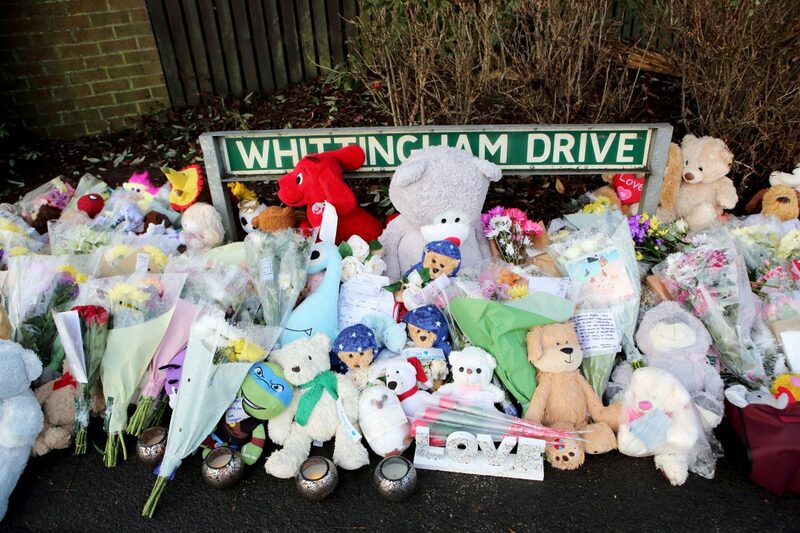 She left the moving note with a floral tribute at the scene of where the youngsters lost their lives following a suspected gas boiler explosion on Tuesday (5/1). 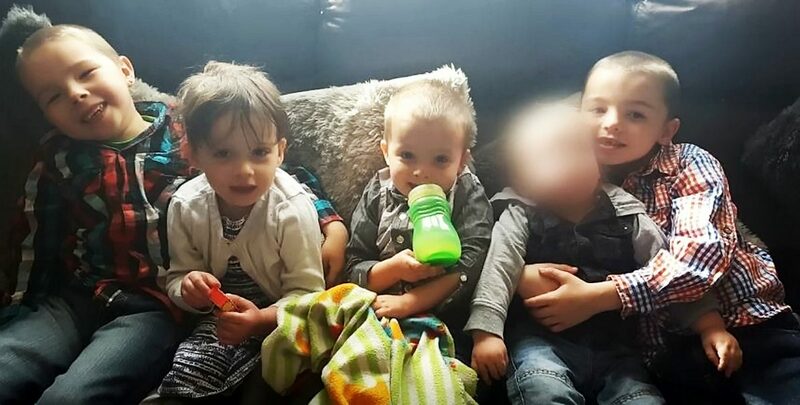 Riley Holt, eight, Keegan Unitt, six, Tilly Rose Unitt, four, and Olly Unitt, three, all died when the blaze tore through their family home on Sycamore Lane, in Stafford. Mum Natalie Unitt, 24, and her partner Chris Moulton, 28, jumped to safety from a bedroom window with their youngest child, Jack, two, in his father’s arms. In the note, Mrs Shelley wrote: “RIP you beautiful angels. “I don’t know you personally but I was involved in last night’s incident. “I work in the ambulance service and was involved in getting the correct resources to try and help save you. “I am so gutted we couldn’t save you all. Well-wishers have so far raised almost £20,000 to help support the family in the aftermath of the tragedy. More than 1,300 people have contributed to a JustGiving page, with donations flooding in as far away as New Zealand. Neighbours had reported hearing loud bangs “like fireworks”and the sound of screaming children as flames engulfed the end terrace house in the early hours. Firefighters, police and paramedics rushed to the scene after receiving a 999 call at around 2.40am but found the four children dead inside. Natalie was treated in hospital for smoke inhalation while Chris suffered burn injuries and also required treatment. Staffordshire Police said the couple and baby Jack still remained in hospital this morning (Wed) as investigations into the fire continued. 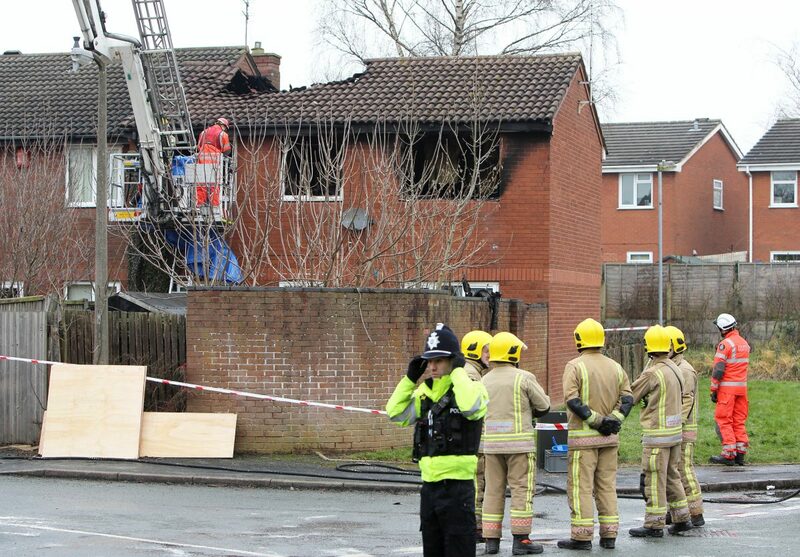 A force spokesperson said: “Police together with colleagues from Staffordshire Fire and Rescue Service remain at the scene while forensic enquiries are ongoing into the cause of the blaze. Tributes poured in for the children, who were described by neighbours as “cute as buttons”, following their deaths. Riley, Tilly and Olly attended Castlechurch Primary School, in Stafford, where head teacher Nicola Glover said: “Our entire school community is absolutely devastated. “Riley was a very confident, excitable member of school who came every day full of enthusiasm. “Riley had a great sense of humour and an infectious giggle. “He was a very bright and articulate boy who showed interest in all areas and was always keen to ask lots of questions. “Tilly was a happy little girl who loved coming to nursery. She was a friendly, caring child who loved to read stories, dress up and paint. She was always proud of her achievements. Headteacher Kim Ellis, from Marshlands Special School where Keegan was a pupil, said: “Keegan was lively, full of fun and mischief with a really endearing smile. “He loved school and everyone who worked with him loved him. We were all proud of him and the progress that he had made. It is very hard to accept what has happened. “Our school community are understandably devastated and our thoughts and prayers are with his family.